It happens to the best of cooks. Something goes wrong in the kitchen. Burned food, forgotten ingredients, a recipe that just didn't turn out quite as expected. Don't waste your time crying over spilled milk. Instead, use my tips to turn a potential kitchen disaster into a culinary masterpiece. The first question to ask is whether the dish can be repurposed to serve in a more appealing form. Are your vegetables overcooked? You can turn almost any mushy vegetable into a delicious first course soup. Just sauté some onion or leeks in olive oil or butter until tender, add the vegetable and some chicken broth and let it all simmer for a while. Puree it with an immersion blender and, if you're feeling a bit decadent, stir in a couple of tablespoons of cream before serving. Who wouldn't be impressed with a lovely cream of broccoli, carrot, or pea soup? Is your chicken dried out? Let it cool, then shred it and mix in enough good quality barbecue sauce to get it all moist and juicy. Serve it on buns with coleslaw on the side. Has your bread gone stale? Cube it up and toss it with melted butter, herbs, and garlic salt, then toss it in the oven on a cookie sheet to crisp up. Use your homemade croutons to dress up a green salad or garnish a soup. Use your mishap as an opportunity to get really creative. 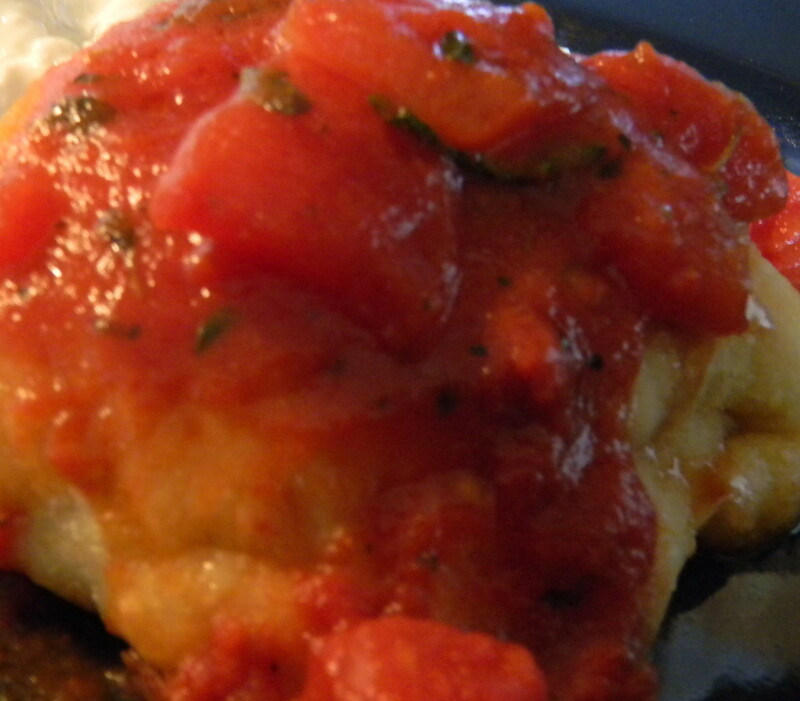 Can the dish be used as an ingredient to transform another favorite recipe? I recently tried a new recipe I found in a women's fitness magazine for a dip made with pureed butternut squash and white beans to serve with pita chips. Although another recipe I tried from the same magazine turned out wonderfully, this one was a disappointment. The dip was too sweet and the texture was off. My guests barely touched the little bit of it I served, and I had a huge amount in the refrigerator that I hadn't even set out. I hate throwing away food, so I was determined to put the leftovers to good use. I decided the dip, too sweet to stand on its own but full of nutrients and fiber, would make a great addition to macaroni and cheese. 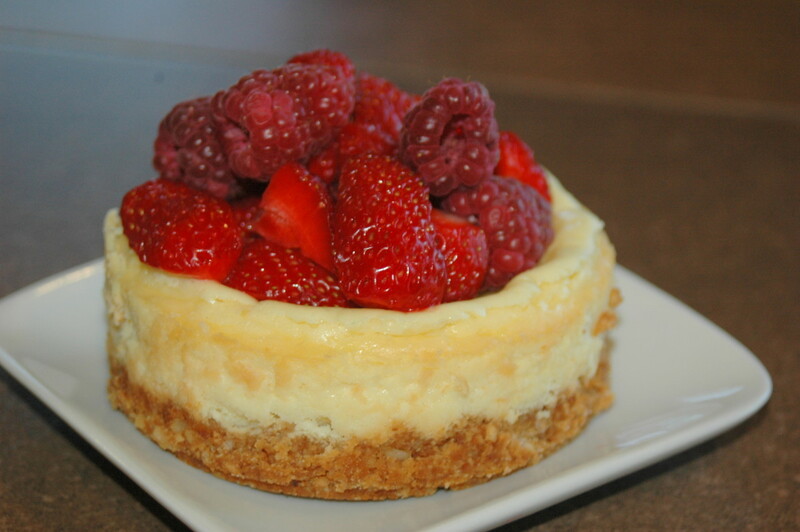 In fact, the creamy puree could be used in place of much of the cheese to make a really healthy version of the dish. I whipped it up for dinner to rave reviews, Not only did I find a good use for leftovers that otherwise would have been tossed, I had a new recipe to add to my collection. It's too good not to share. Preheat oven to 400° F. Place squash cut side down on an oiled baking sheet. Bake for one hour. Let cool, then scoop the pulp from the skin with a spoon and discard the skin. Puree the squash in a food processor with the white beans, 2 tablespoons olive oil, Parmesan cheese, paprika, and fresh ground pepper. Can be prepared 1 day ahead. Refrigerate in an air-tight container until ready to use. If proceeding immediately, reduce heat in oven to 350°F. Cook elbow macaroni in boiling salted water until just tender, about 8 minutes. Drain and set aside. Heat remaining 1 tablespoon olive oil large saucepan over medium heat. Add onion and Herbes de Provence and cook until onion is tender, about 5 minutes. Stir in puree. Remove from heat and stir in cheese and cooked macaroni. Salt and pepper to taste. Grease a 1-1/2 quart deep baking dish with butter. Transfer the macaroni mixture to the baking dish. Melt 1 tablespoon butter in a small skillet over medium heat. Stir in the bread crumbs and toss to coat. 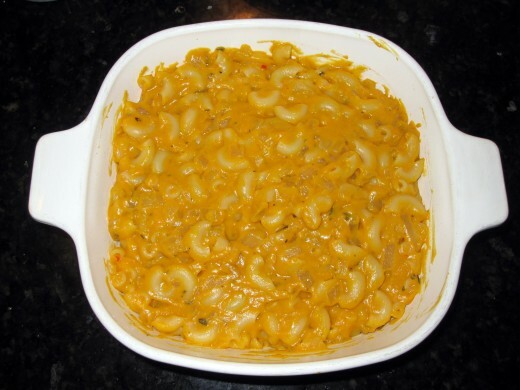 Sprinkle the bread crumbs over the macaroni mixture. Bake in 350° oven until the bread crumbs are lightly browned, about 30 minutes. Let stand for 5-10 minutes before serving. If your dish is too sweet, add some acid (vinegar, lemon or lime juice). If your dish it too acidic, add a pinch of baking soda. If your dish is too spicy, add some sweetness (a bit of sugar, honey or ketchup) or dairy (sour cream or plain yogurt) to cut the heat. If your soup or stew is too salty, add a potato cut into chunks to absorb the excess salt as it cooks. Remove before serving. If your dish is too thin, stir in cornstarch as a thickener. If your dish is too thick, thin with liquid (water, broth, milk or juice). If your salad is overdressed, add raw broccoli florets to soak up the dressing. For each cup needed, use 1 tablespoon lemon juice plus enough milk to make 1 cup. Let stand 5 minutes before using. 2 tablespoons all-purpose flour for each 1 tablespoon of cornstarch needed. 1 cup granulated sugar plus 1/4 cup water for each cup needed. Three times the amount needed of prepared mustard. 1/8 teaspoon garlic powder for each clove needed. An equal amount of packed brown sugar or double the amount of sifted powdered sugar. 1-1/4 cups granulated sugar plus 1/4 cup water for each cup needed. 1 teaspoon onion powder or 1 tablespoon minced dried onion, rehydrated, for each small onion needed. One-half cup tomato sauce plus one-half cup water for each cup of juice needed. 3 tablespoons unsweetened cocoa powder plus 1 tablespoon butter for each ounce needed. 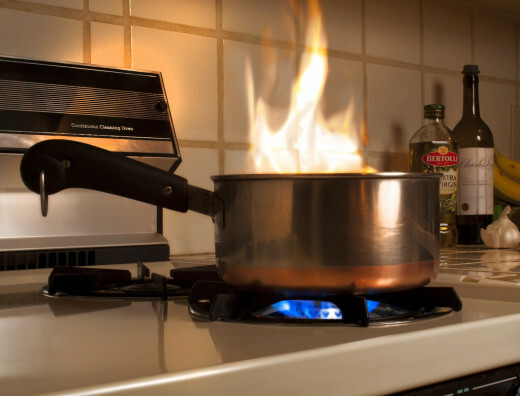 How do you handle kitchen mishaps? Share your tips in the comments section below. Thanks, Au fait. 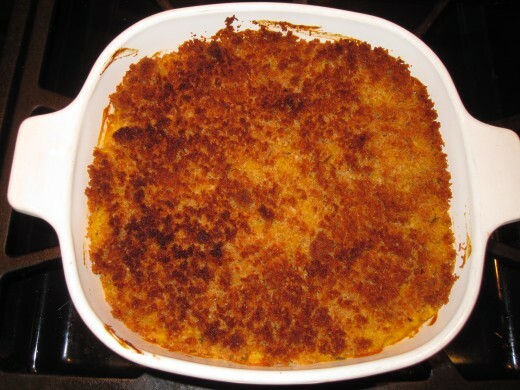 I've made that squash mac and cheese several times since, so it was a happy accident. Great ways to salvage a disaster. I really like the sound of the squash in the mac and cheese. Great way to enhance both. Thank you for sharing it. Thanks, Alecia. I don't know that I've ever had to actually throw a dish away. Usually I can find some way to salvage it. Glad I was able to teach you a few new tricks. I've had some bad things happen to me in the kitchen but fortunately not bad enough where the dish completely suffered. It seems though that a lot of cooking is trial by fire. This a very useful and inventive hub! I learned a lot. Thanks, Shasta. I will be making that mac 'n cheese dish again soon. I have a lot of butternut squash just about ready in the garden. Thanks for coming by to comment. These are wonderful ideas about how to save a dish from a kitchen mishap (not that I ever have any), and your macaroni and cheese recipe looks amazingly delicious! I'll be printing this article and posting it front and center on the refrigerator door. Can you grow other kinds of winter squash, Jools? If so, you should be able to grow them. They do take up a lot of space so I would suggest a trellis or other structure that they can climb. Thanks, Jools! I've actually made that dish a few times now so I'm glad that particular mishap inspired something so good. 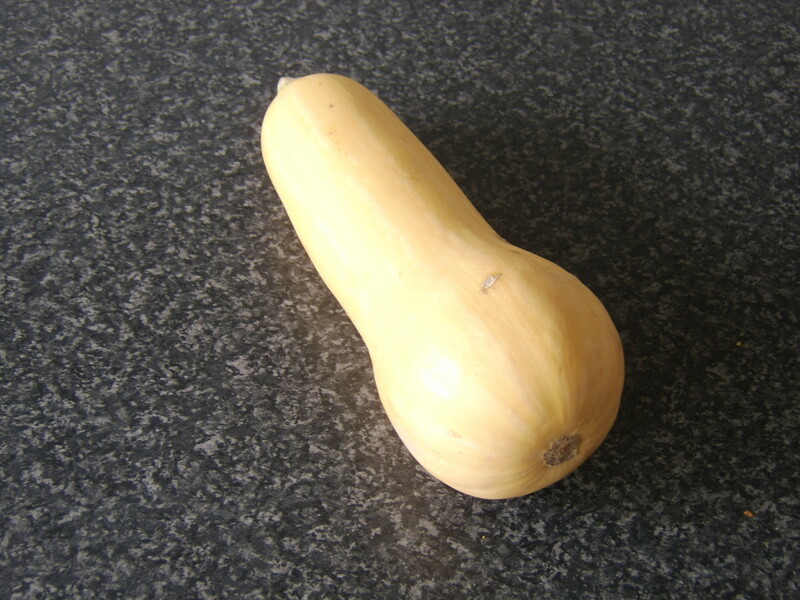 And with lots of butternut squash ripening in my garden, I'm sure I will be making it again soon. Thanks for the comment. Thanks for checking it out, Janine, and for the vote and share. I'm sure you don't have many mishaps, but when you do, I hope this info comes in handy. Thanks again. This is really great Deborah and so very useful. So I have pinned to refer to when and if I have the next kitchen mishap. Thanks :) Have also voted up and shared too!! You are too kind, Gloshei. I don't know that I'm a star; just a person who hates to waste food. Hope you find the info useful. Great this hub will be a life saver that's for sure. I love cooking but there is bound to be something that will go wrong. Some useful tips as well. Thanks deb you are a star. bookmarked and voted up. These are excellent tips. I am bookmarking this one for the next time, sure to happen, that a meal goes a bit wonky. Thanks for a great hub! Thank you all for your comments. I'm so glad you're finding these tips to be helpful! This hub remains me of all the kitchen disasters I have had in my kitchen!! Since I too hate to throw out food, I usually find a way to save it. However, burned food I yet have not find a way to save. Great hub! Great recipe! Great ideas! Bookmarked, voted up and useful!! Thanks for the great cooking tips! I also had not heard of the baking soda quick fix. Thanks for sharing. Pollyannalana, my husband is the same way with hot food so I've used those tricks a lot. And jenubouka, thanks for the rice tip! That's a new one for me. Wonderful and so perfect for this time of year to help out cooks! That butternut squash macaroni is actually a hot trend this year so kudos. I did not know about the baking soda, very cool. I am a perfect cook so these don't apply to me..........IM KIDDING!!! I have almost all of these remedies which have been lifesavers in the professional kitchen! Especially when you make 30 gallons of soup that is too salty, lets just say it turned into 40 gallons when I was done fixing it. A low fat tip for thick and creamy soup is to add some raw white rice to the soup and puree and strain. 1/4 Cup to 1 qt of soup, this can also be good for hot and salty too. ! Great hub, reminds me of a few years back when I would tell my family I was making a new recipe and they would all moan. It was in jest though, they really like my cooking but I did have a couple of nightmares, but don't we all! Thanks for the tips. I need the too spicy one for sure! I can't take too much heat. Voted up. Good hub; voted up, but as for cutting a finger, I think I'll go to a piercing/tattoo parlor for a piercing, rather than to your kitchen, where I'm sure great culinary things happen! Voted up, useful and awesome. Oh, and I am sooo sharing this!!! Great job! Excellent Hub--great ideas, a great recipe, and a wonderful list of quick fixes! I doubt anything goes really "wrong" in your kitchen with such fantastic tips. Voted up, useful, and awesome! Happy cooking! I enjoyed this hub - hopefully I will be more inspired now to turn my culinary mishaps into opportunities to make new things! Your recipe sounds very tasty by the way.